Our skin's requirements change as temperatures fall. Adjusting your skincare routine is fundamental for avoiding dry and cracked skin. With autumn approaching our skin is exposed to fewer UV rays, resulting in the aging process being reduced. However, the downside involves heated air and the cold, which brings about dry and irritated skin. Blood vessels narrow when it becomes colder. Poor circulation and low nutrient supply are the outcome. Sebaceous glands produce less sebum during the colder months, thus our skin is more prone to dryness. The skin's own fatty layer is unable to spread into a thin film when temperatures drop to below 8 degrees Celsius. 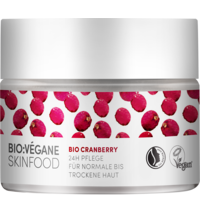 When the skin is not sufficiently conditioned and hydrated, it could lead to tautness, dryness, itchiness and cracks. To avoid this from occurring, the skin should be prepped before these symptoms make their way to the surface. One can never emphasize this enough: Always drink ample amounts of fluids, i.e. water. Two litres is the recommended daily water intake for an adult. Water serves to supply the skin with needed hydration to prevent dryness. We know that nothing comes close to a relaxing, hour-long bath, but it is important to note that in doing so, the skin is degreased. Instead opt for a quick, lukewarm shower, which ultimately saves more water, and cleanses the skin with a lipid-regulating shower cream. This will restore any lost moisture. If you do opt for a bath, placing bath additives with moisturizing substances to the bath water will ensure that the skin does not lose too much moisture. Even though the sun is not as harsh during the colder season, it does not mean that it is less harmful to the skin. 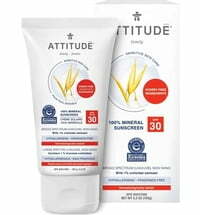 Apply a sun protecting cream of at least SPF 10 when you are exposed to the outdoors for a prolonged period of time. Stay tuned for some more helpful tips in our next blog post.